The five-star Park Hotel Kemeri is now scheduled for opening in a historical sanatorium building in Jurmala in the summer of 2020, the company’s representatives told LETA. Originally, the Park Hotel Kemeri was supposed to open in May this year, but due to adjustments in the project’s business plan, the opening of the hotel has been moved to the summer season of 2020. It is expected that an agreement with an operator on running the hotel will be concluded this summer. Renovation works in the hotel building have already been completed and furnishing provided for pilot apartments. The furniture has been supplied by Latvian producers. The sanatorium’s transformation into the five-star Park Hotel Kemeri will cost EUR 22 million. The opening of the hotel is the first stage of the historical building’s renovation. The next stage will involve the opening of a wellness clinic there in 2022. According to information available at Firmas.lv, the company Park Hotel Kemeri was established on September 16, 2014. Its sole owner is the Cyprus-registered Ravenclaw Limited. 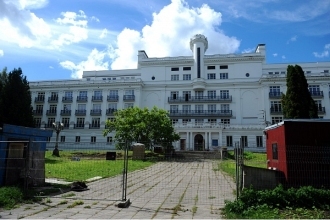 The historical Kemeri spa hotel in the Latvian sea-side resort town Jurmala was sold to the Latvian architect office Arhiidea, one of the secured creditors of the insolvent company Ominasis Latvia which owned the Kemeri spa hotel. The spa hotel was sold for the starting price of the previous auction that did not take place - EUR 2.86 million. Later, Arhiidea ceded its rights to purchase the property to Park Hotel Kemeri, owned by Russian businessman Alexander Gusakov. As reported, under a protocol of intent signed by Park Hotel Kemeri owners and Jurmala city council, Park Hotel Kemeri was supposed to renew the Kemeri sanatorium complex and start providing hotel and rehabilitation services by October 1, 2019, creating at least 195 new jobs. The city council’s representative Ieva Aile told LETA that the local council by signing the protocol confirmed that it will improve the local infrastructure – renovate the historic Kemeri park, develop interactive nature tourism objects, repair roads and parking places with co-financing of the EU funds.